flourish KC tickets on sale!! good morning! tickets went on sale just a few hours ago for my first workshop next month! the girls from mint & lovely have been hard at work putting this together and i can't wait. i'm sure it's going to be a wonderful day learning modern calligraphy, sipping cocktails, meeting new people and getting a few freebies while you're at it. how can you say no? here's what you'll get! here's the link to purchase tickets, i hope all of you can make it!! last spring, i got an e-mail from a couple of girls "up north" who'd found me on etsy and had very nice things to say about my calligraphy. i was a serious newbie at this point and couldn't believe that someone besides my friends and family had actually found me! 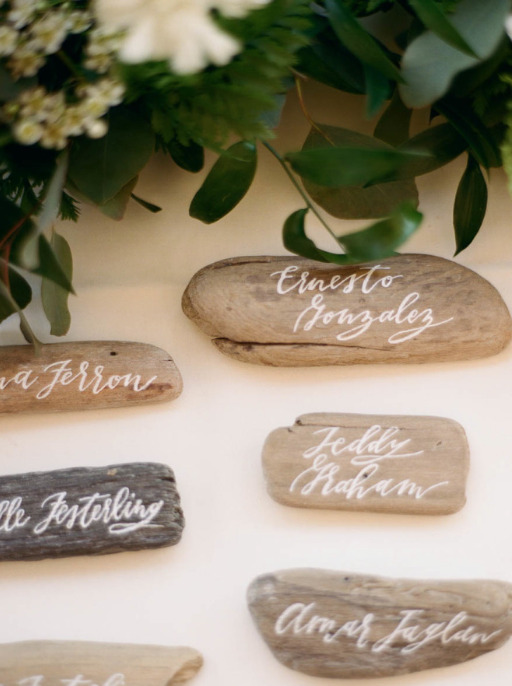 they needed 200 pieces of driftwood lettered on for a wedding and even though the thought completely freaked me out, i gave them a price quote and crossed my fingers. the rest, as they say, is history. i worked for hours upon hours on those little babies and kept wondering if it was going to be worth it. absolutely, absolutely it was. those girls were haley and emilee of Mint & Lovely and i can credit them with my first official job and more after that. at first, i thought of them as wedding planners, but then as i got to know them, they morphed into much more than that. my short answer is that they are event consultants, but even that doesn't seem to do them justice. 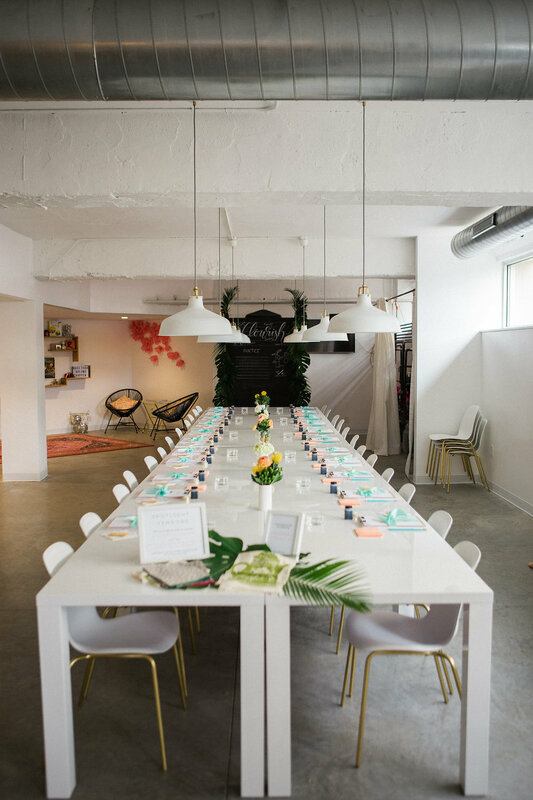 they also have a keen eye for beautiful, clean design and love to host workshops "up north" in milwaukee and the surrounding cities. which brings me to WHY i'm posting about these lovely ladies!! "At the workshop you’ll walk into a beautifully styled space where Lily of loveletter studio will instruct you on the basics of modern pointed-pen calligraphy, how to use the pen and nib, and cover basic techniques as well as learning letters of the alphabet. Along with the basics, she will go over how to make the perfect strokes, walk you through how to connect letters, and even give ideas on how to incorporate it into your own projects. Whether you want to address pretty envelopes for an upcoming wedding or celebration, create personalized details for your home or you simply want to learn a beautiful new art form, this workshop is for you! You’ll walk away with all the tools you need to continue honing your new skill at home, a custom tote bag + personalized gift and the memory of a day well spent with other local women." what's not to love? a few hours chatting with other ladies (and maybe a couple gents! ), having a couple drinks in a beautiful space, and learning a skill that's making a serious comeback. tickets will go on sale through their website soon, so stay tuned! i can't wait! so it's kind of a well-known fact that we seriously lucked out when we moved into our neighborhood. we hit the jackpot with pretty much every single neighbor on our part of the street, and we're all always commenting on how it's unreal that all of our kids get along so well and more importantly, that the grown-ups do, too! one of them is tom, who co-owns rockbox, an online video content company. he's also the voice of the dairy queen commercials! some of my art caught his eye last year and he thought i'd be a good fit for a series that they were doing on local artists. yes, please! his co-owner, tim, and a camera guy came over and shot this video and i'm so incredibly excited to share it! these guys do incredible work and i'm really flattered to be included. there's a little discrepancy with my logos because i like to keep things interesting and switched it up right as they were putting the finishing touches on, but the content is still the same. hope you all enjoy!! i'm starting this blog properly in the middle of a few changes for me. nothing huge, but i had a bit of a lightbulb moment last week as i was preparing for my first workshop (tonight!). when i started really focusing on learning the art of calligraphy (after having all of my 4 kiddos and realizing i needed some ME time or i was going to implode), my goal was to get into the wedding business and address wedding invitations. i didn't want to design them (i'd tried that already and didn't feel like i could contribute anything worthy to the world), just address them. this was about 2 1/2 years ago, when i was pregnant with my last little babe, olive. i flew up to chicago all by myself and took a workshop from the amazingly talented molly jacques. as if i needed more reason to be hooked, but this jump-started me really getting down to it. fast forward to now, and i've made it! just kidding, but i'm definitely who i want to be when i grow up. i have an etsy shop with a few products (seriously, what new mama wouldn't want this?!?!?) and have been steadily keeping busy with the wedding season. i've done lettering for the coolest juice place in KC and will teach my first workshop tonight. toot my own horn much? all this to be said, the name loveletter calligraphy just doesn't cover it anymore. calligraphy is at the core, but let's be honest, the name was too damn long anyway. i hope it doesn't confuse people and make them think i have a storefront (i do not), but i'm really happy about the name change to loveletter studio.